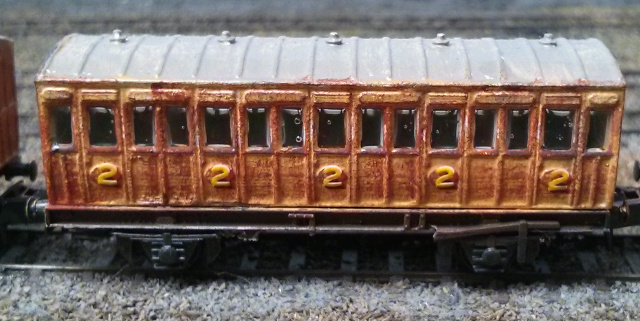 These coaches represent the late 1860s North London Railway coaches in their original form. Based upon the Zerah Coburn engravings, drawings from 'The Engineer' in 1869, descriptions by C Hamilton-Ellis and period paintings. Each model is 3D printed as a single component and is ready to clean up and paint. They are designed to fit onto a Peco wagon chassis making construction as simple as possible. First class four compartment coach of the late 1860s. Fits a Peco 15' chassis. Second class five compartment coach of the late 1860s. Fits a Peco 15' chassis. Birdcage brake/gas holder of the late 1860s. Fits a Peco 10' chassis. Later versions of the coaches. 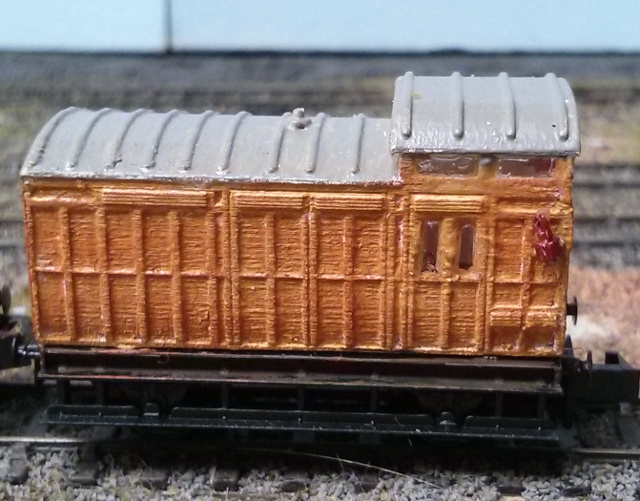 The coaches have high roofs, the brake has internal rather than external battens. 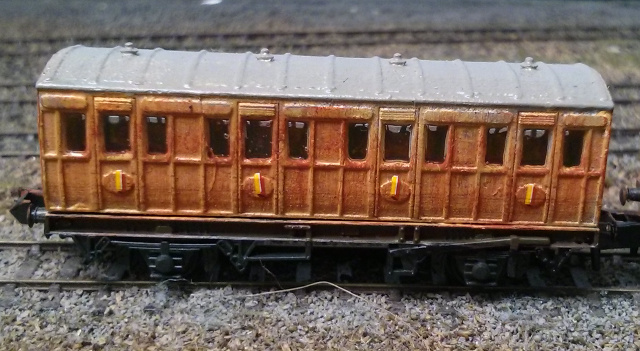 First class four compartment coach with the later high roof. Fits a Peco 15' chassis. Second class five compartment coach with later high roof. Fits a Peco 15' chassis. Birdcage brake with later roof. Fits a Peco 10' chassis.